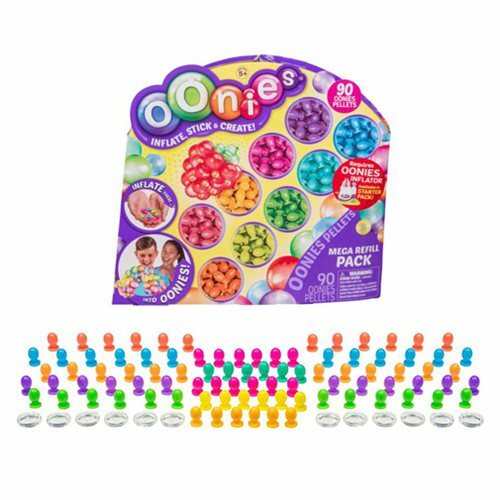 Inflate, stick, and create with Oonies! Create an Ooniverse of your creations with this Oonies Mega Refill Pack. Inflate the pellets into whatever size you want using an Oonie Inflator (sold separately). Then stick them together to create whatever you want! This Refill Pack contains 90x pellets and 12x connectors so you can create up to 40 Oonie designs. The possibilities are endless! Ages 5 and up.